Looks like the eastern church has officially arrived in Wills Point, TX. A new Gospel for Asia church denomination for Wills Point, yet still the same KP Yohannan denomination in South India. Gospel for Asia chose to fire Grandma. It is amazing, baffling and sadly true. 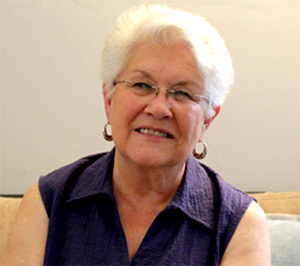 The story of the firing of 72 year old Michele as she had been recovering from knee replacement surgery is astounding and confusing. Michele had been at GFA for 12.5 years. For those who may not be familiar with the context of this story, we are talking about the ministry Gospel for Asia that is located on a 300+ acre campus in Wills Point, TX. They have around 80 single-family houses, over half of them now empty. Since moving into the campus, GFA has not paid any taxes on these family dwellings. What was the rational for firing a 72 year old lady who served there for 12.5 years? One has to wonder why a leadership decision like this would come down at this time. There seems to be plenty of housing available. And how much harm could a 72 year lady do? Michele was not given a specific reason as to the somewhat abrupt firing, other than it was a leadership decision. Michele describes her feelings in the video on her GoFundMe page, as she was told by HR that you have 30 days to leave the campus and you are no longer a part of the ministry. Exit interview commenced immediately. The whole thing was like a kick in the stomach to me. By the way, Michele also gave her life savings to the ministry, and prior to being fired, GFA took it upon themselves to let Michele’s supporters know she was moving on. How convenient. 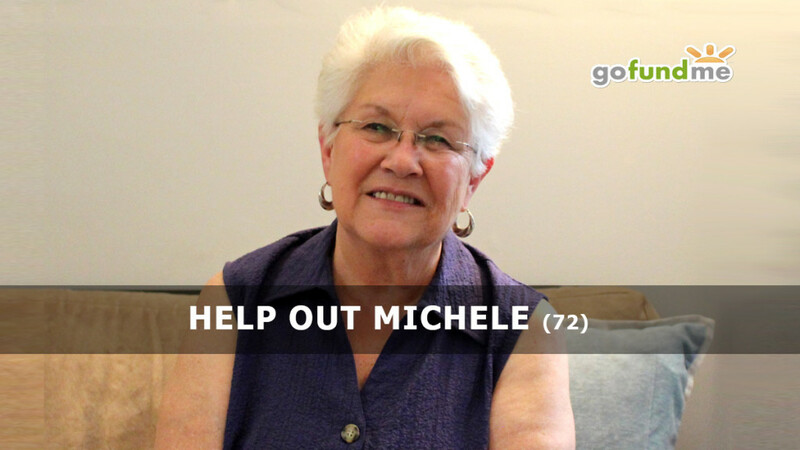 We may never know the answer why Michele was fired, but one former staff member and former co-worker of Michele decided to start a GoFundMe for Michele. Visit her campaign, it includes a video with Michele and her former co-worker. Michele shares about her firing experience. Moved the US office (in the summer/fall of 2014) to the 80+ houses they built on a 40 Million dollar campus on about 300 acres in Wills Point, TX. During the preparation for the move, health insurance was cancelled. In the years leading up to the move, staff often had “work parties” to prepare the land in Wills Point for the building project. Staff would often gleefully travel from Carrollton to Wills Point on weekends to clear the land and plant trees etc. The GFA office was previously located in Carrollton, TX. Starting in 2015 through 2016, the ministry saw upwards to 60+ staff families and individuals leave the ministry, leaving many of the campus houses empty. Many of the staff who left were “core” long-time staff members. 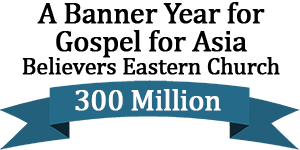 Amazingly, in 2015-2016 GFA (or Ayana Charitable Trust as referenced in India) and other GFA-related entities were somehow able to send close to 300 Million into India. Approximately 125 million flowing in from Hong Kong. All money flowing into India is accounted for because of the Foreign Contribution Regulation Act in India (FCRA). The only case where FCRA would not apply would be in the case of money flowing into the country in the form of cash. See cash via School of Discipleship student – interview. See all the many unique names reporting funds, do some basic math. In many cases the big staff exodus of 2015/16 may have been brought on by things that started to come to light. Financial realities brought about by an ECFA investigation and subsequent dismissal as a charter member of the Evangelical Council for Financial Accountibility may have brought on a staff exodus. All told, ECFA found that GFA violated five of the accountability group’s seven core standards. As a result, the ECFA board voted on October 2 to cut ties with GFA. The board said its decision is final. “This ends Gospel for Asia’s 36-year-long status as an ECFA member,” the council said in a statement. There is a group of over 100 former GFA staff called the GFA Diaspora, who have sought to reconcile matters with GFA leadership to no avail. You can read many former staff testimonies by clicking here. Read a letter by a 30-year former GFA Board Member Gayle Erwin, this letter will help give context to the plight of the GFA Diaspora, and it details Gayles findings into their concerns. There was a modified version of Gayles findings released after the original was presented to leadership. If you’d like a detailed historical perspective on the unfolding story of Gospel for Asia … you can visit: “The Blogger that Regularly Blogs” – Warren Throckmorton. See navigation and articles in the upper right column of this page. Each post has a diverse set of comments and opinions that you can form your own thoughts on, and you won’t even be shunned for reading them! As reported in 2016, almost 50 full-time Gospel for Asia Staff departed. 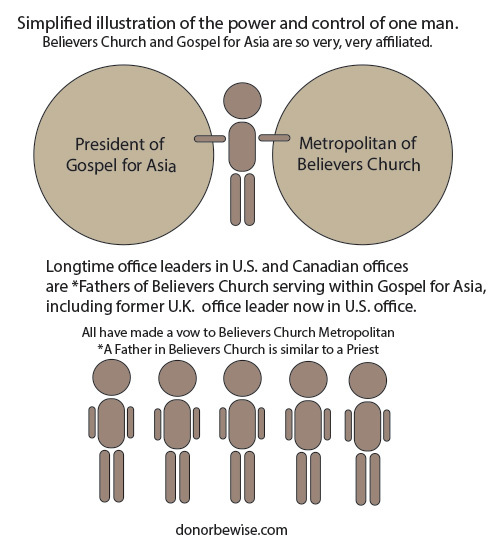 See The Gospel for Asia Staff Exodus of 2015. There continues to be a steady trickle of key staff leaving the ministry. Some depart as they are able to get a new job or figure out a place to stay as they try to get on their financial feet. There is story after story of former staff helping out staff leaving, as in many cases there is nothing to go to. When you depart, some form of shunning often begins, so a support system is vital. The support could involve anything from a place to stay, financial help, or someone to talk to and pray with, as the road ahead can be challenging. Many former staff that left had poured their life savings into the very ministry they were serving at. It is a big leap for many, especially those with family, to leave this ministry as you don’t really have any means to save for anything. There are a few exceptions to the rules that were in place for the last 20-30 years. A few staff were granted special exception that allowed their spouses to work off-site at a “real job” with a good income. But this is rare, and there were only a few unique people accomodated with this special exception granted directly from the founder of Gospel for Asia and Believers Church – K.P. Yohannan. If those individuals wanted to leave, there wouldn’t be the huge financial leap of faith so many had to take in 2015 by leaving GFA. As stated, so many who left in 2015 had either sold off assets prior to coming on staff and ended up giving that to the ministry, believing it would go to the area and people of Asia they hoped it would. There has been a continued exodus of staff. From 2016 to 2017 staff continue to depart from the ministry. Many leave for “other reasons” and say it has nothing to do with all the financial issues that came up in 2015. Like the dismissal from the ECFA, or the dismissal from the National Religious Broadcasters (NRB), or the lawsuit against Gospel for Asia for donor fraud to name a few. It’s is a little easier for single people to leave, but not by much. 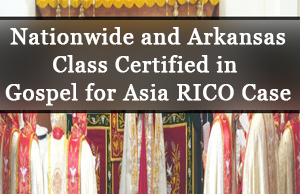 So, Gospel for Asia continues to recruit new, young students to fill the gaps. It is an interesting process to join the School of Discipleship. You fill out an application and tell them all the areas that you struggle with as a young Christian. Then you are brought in to a very closed loop of senior leaders and “discipled”. Exposing those vulnerabilities can present some interesting scenarios. The environment can be control-like. Outside viewpoints of what has transpired since 2014 are either very covered up internally (on the campus) or those with an opposing view of what happened are labeled as “those who have been deceived” and “those who bring an evil report”. Of course shunning is a staple of GFA’s history – see some of the testimonies of staff and former staff shunned by Gospel for Asia at GFA Diaspora. What a convenient closed loop environment. This would explain in part the move to a 300+ acre campus in 2014 to a not-so-populated area of East Texas – Wills Point, TX. In the areas that GFA is not able to monitor and tightly control the activities of these young female and male Christians, there may be some small areas of breathing room. Yet the control is tight – and there is a very real need for GFA to recruit more young Christians. In the old days GFA was able to recruit more families. But that sometimes involves mature Christians, and at this point if there is a wise, mature Christian coming to the campus to seek out joining staff … I would hope they are doing their homework about the core of what has been revealed about Gospel for Asia. For the new, young students, the Homeland Security investigation has been interesting as it has unfolded over the last two years. To think that the very same core leadership team that loaded up young students with $4,500 in cash to take over on their trips to India, are the same core leadership team that remains in place today. For several former staffers, a breaking point came in 2013, when GFA began sending cash money overseas in unmarked envelopes. At the time, the ministry was concerned about increased scrutiny from the Indian government. So it began asking staff, students, and pastors on vision tours to carry cash for the ministry without declaring it to US officials, according to former staff members. 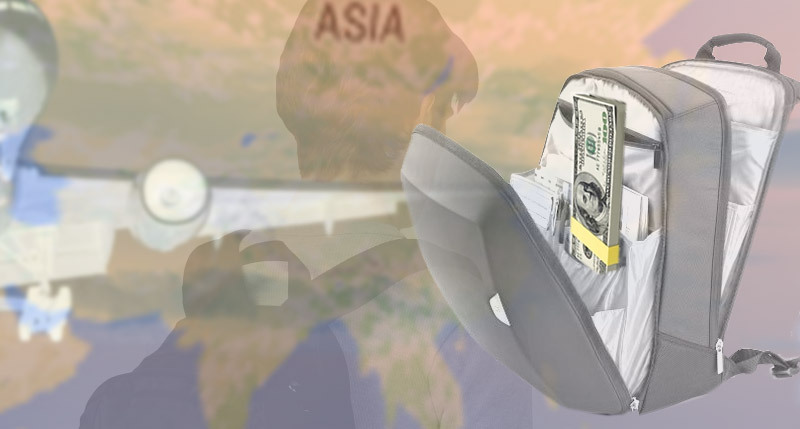 US regulations stipulate that travelers must declare any amount over $10,000 when leaving the country. Former staff members and students in GFA’s school of discipleship told CT that GFA attempted get around that rule by having a number of group members carry smaller amounts—as much as $4,500 each. The Department of Homeland Security (DHS) warns that such “bulk cash smuggling” is punishable by up to five years in prison. Helm said he carried $4,500 in cash on one occasion and that Yohannan asked him to give similar envelopes to the group of pastors he was leading. The total amount of cash exceeded the $10,000 limit, he said. Helm refused to hand the cash to the pastors. Upon arrival in India, Helm said he turned over the cash to GFA staff but did not receive a receipt. Some cash was also carried by students in GFA’s School of Discipleship. 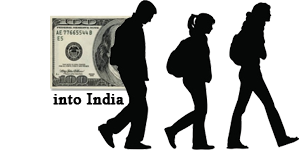 “We’ve taken more than a half million through these students to India—and never got a receipt,” Helm said. As the exodus of staff continues, we pray truth and the love of Christ will prevail in each heart. Read an interview with a School of Discipleship student about their cash carrying experience. 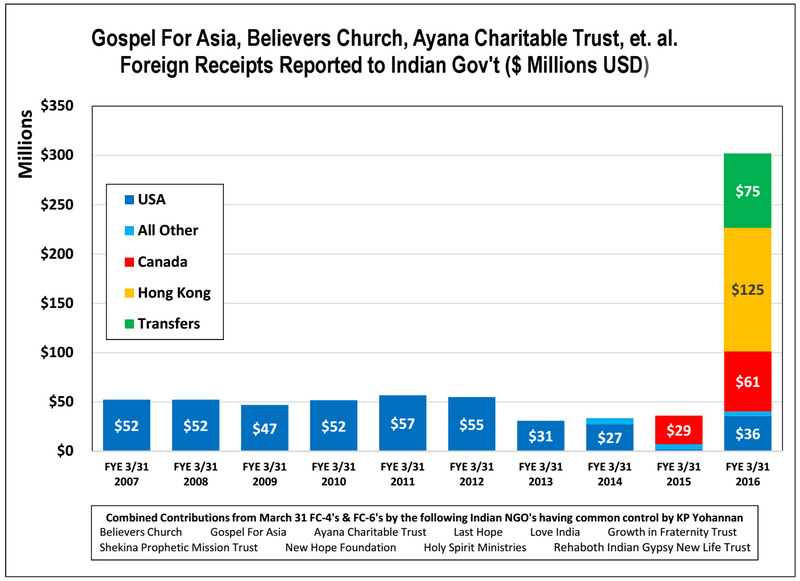 Ayana Charitable Trust, is supposedly a rebranded version of Gospel for Asia, the Texas-based NGO which ran into trouble in Canada due to allegations of financial bungling. A look at Ayana’s FCRA returns, which declare its total foreign funding in 2015-16 at a whopping Rs 826 crore, lists Gospel for Asia, Hong Kong, as the source of most of its foreign funds. Interestingly, Param Shakthi Peeth, the NGO run by Sadhvi Rithambara who was associated in the past with RSS and VHP, was the second highest recipient of foreign funding in 2015-16. 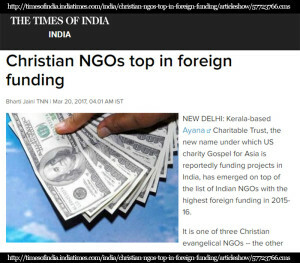 From the article: Christian NGOs top in foreign funding. 132 Million is only a portion of the funds that were brought into India from places like Hong Kong in 2015-2016. The amount brought in from various countries is unusually high for a single year. 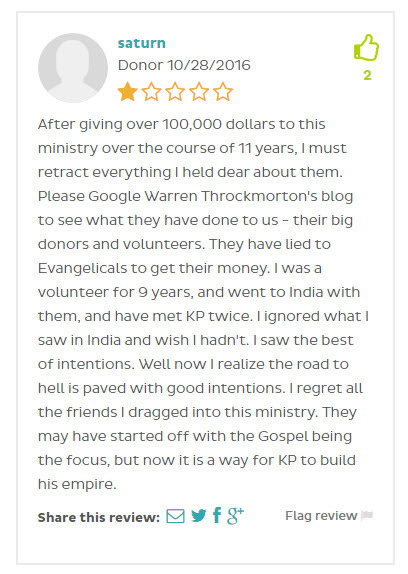 The full report as to why Gospel for Asia was terminated from the Evangelical Council for Financial Accountability is rather harrowing. Read the report yourself and draw your own conclusions. I’m sure you can contact the ECFA to verify these findings as the document shows. It is available here. Some brief highlights of this sad report of Gospel for Asia’s financial offenses. Donor be wise. View the ECFA website for listing of former members and a listing of reasons for termination. *After termination, members are removed from website after three years. 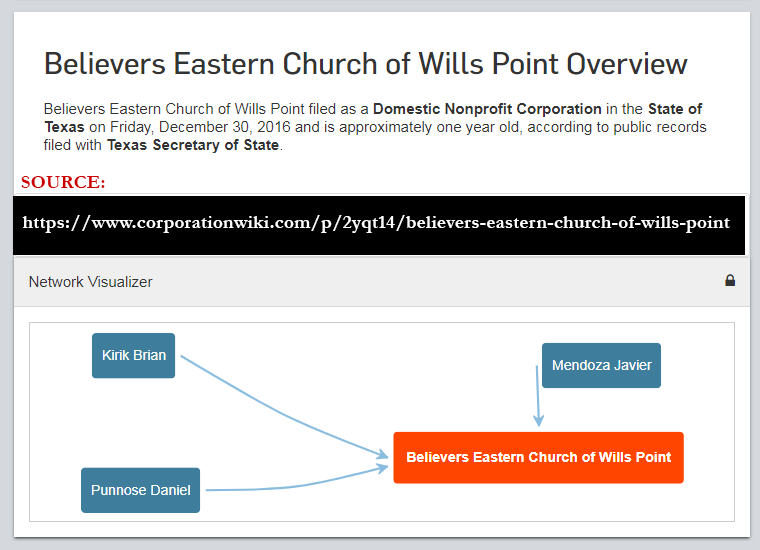 The ECFA letter reported that GFA used $19.8 million in restricted donations to build its headquarters in Wills Point, Texas, just outside of Dallas. Those donations were intended for missions work. Instead, the money was sent overseas to one of GFA’s affiliates. The affiliate then returned the money to the United States, without the knowledge of GFA’s board of directors or donors. GFA leaders also tried to conceal the source of those funds. The $19.8 million was listed in GFA’s 2013 audit as an anonymous donation. 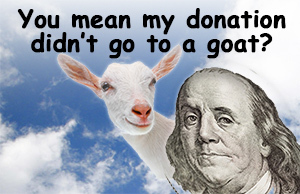 Earlier this year, GFA admitted that restricted donations for missions work had been used for the building. The ministry also solicited millions of dollars in donations, claiming urgent needs, while its overseas affiliates held onto huge cash balances—nearly $250 million in 2014. The ECFA letter (dated September 2, 2015) was the result of a four-month investigation into GFA’s finances. Soon after the report was issued, ECFA expelled GFA from its membership. 8. Use of funds restricted for the field for other purposes. On June 3, ECFA discussed GFA’s claim that 100 percent of field funds are sent and used in the field. GFA staff confirmed that this was accurate. A. Reallocating gifts donated for field purposes and using them to pay for headquarters construction appears to be a violation of ECFA’s Standards 7.2. GFA staff stated in a recorded GFA staff meeting that you approached the field partner and explained that GFA could borrow the funds in the U.S., at less than desirable terms, for the headquarters construction. However, a gift from the field partner, in lieu of GFA borrowing the funds, would allow GFA to complete the new headquarters and thereby save interest. Therefore, GFA would be able to send more money to the field in future years. ECFA believes that the potential savings resulting from the GFA India gift is an inadequate basis to reallocate gifts donated for field purposes. B. Reallocating gifts donated for field purposes contradicts GFA’s claim that 100 percent of funds are sent to the field. In fact, a significant amount of donations restricted for the field made a circuitous trip back to GFA and were used for the headquarters construction, as though they had never gone to the field. This appears to be a violation of Standard 7.1. In a GFA staff meeting, GFA indicated the field partner took out a loan to cover the use of the $19,778,613 gift and GFA staff confirmed on August 27 that India-generated income was used to repay the loan. Our review of the board minutes did not indicate the GFA board had approved, or even been notified, of the $19,778,613 reallocation of donor-restricted gifts. Great Nonprofits is a good place to get reviews on many types of nonprofit organizations. There will be a variety of reviews, so you can do your own reading and draw your own conclusions. This is helpful in trying to get some objectivity, versus the ministry copy points some might choose to stick to if you were to call. You can visit Great Nonprofits here. Q: Did you receive any type of receipt when you handed over the envelope of cash? A: No, I was given nothing at all. *The student has requested to remain anonymous due to current investigations into the cash taken into India by the students and other individuals. This student is from the era of students that were given cash to take to India. This student is also from the era in 2014/15 where GFA finally sanctioned students and staff to attend local churches, previously this was not allowed for students. Previously GFA staff were never encouraged to get involved in local churches, on-site bible studies have never been sanctioned. These questions range from very general to how they felt about being asked to carry cash to India on their two week tour of India. The tour of India was part of their year at School of Discipleship. Q: As a student of Gospel for Asia’s School of Discipleship, briefly outline your daily and weekly schedule. A: My days were busy and structured. I didn’t mind the structure, though, because I wanted to grow and I knew that my year was going to be intense. We would wake up at 6:00 AM for a brief time of prayer with our housemates, get to the office by 8:00 and work until 4:30 or 5:00 in the afternoon, with an hour break for lunch. When we would get home, we often had scheduled study times. We also had scheduled house dinners several nights a week with the members in our house, and curfew at 12:00 or 1:00. Then, every week we had one prayer meeting in the evening, two or three prayer meetings in the mornings, a few hours of class during the workday, and most Saturdays a work party on the campus in the morning. Every Sunday we had chapel. Q: Were you encouraged to fellowship with all staff? A: Yes, I saw all the staff every day around the office in the prayer meetings. They always reached out to me and I felt very welcome to fellowship with them. Q: Did you go to any local church for services or Bible study? Why or why not? A: No, I didn’t because they had chapel on campus Sunday mornings and we were asked to attend that. The staff did join local churches and communities, though. Also, right before I left they changed that rule for the students, and many of my friends started attending local churches. 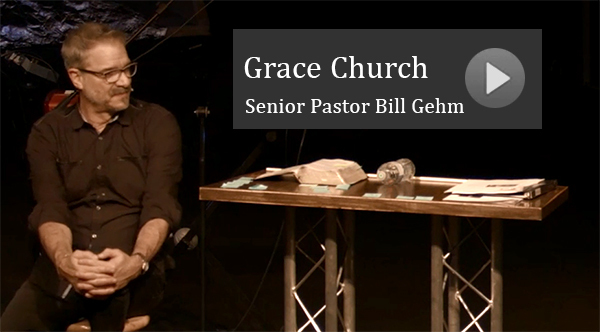 Q: Describe the kinds of prayer and worship you experienced on the GFA campus? A: I learned a lot about prayer and worship at GFA. The prayer was intense and faith-filled, and during the meetings we would gather in smaller prayer groups to pray specifically. We would always make sure to pray for each other as well as for the mission field. The GFA culture welcomed prayer, especially spontaneous prayer; if I ever let on that something was bothering me the other staff or student would usually stop and pray for me right there on the spot. In the prayer meetings many of the women wore head coverings, but others felt free not to, and I never felt any obligation to wear one myself. The worship was always reverent, with the musicians standing offstage to keep the worship focused on God. GFA staff and students also felt free to kneel, raise their hands or express their individuality in worship. Q: What were you taught about how you should interact with your family (parents, siblings, etc)? A: I was taught to live in godly submission to the leaders God placed in my life, which applied to my dad as well as other leaders. Other than that I can’t remember being taught anything specifically about family interactions. I do remember that an RA encouraged me not to visit my family as often as I would have otherwise so that I could be more present in the SD community and grow more from my discipleship year. Q: Did you feel that all staff understood what you were being taught about? A: Yes, I did feel that they understood what I was being taught in class. Although many of my teachers were leaders of the ministry, several others were staff members, and I know that all the staff read many of the books I was given to read. Q: When you got ready for your trip to India, did you know you were going to be taking cash? A: Not at all. They didn’t tell us that we would be carrying cash until a day or two before we left. I do remember a student from the class before me mentioning something about cash that I didn’t understand at the time, and it was only after I was asked to carry the cash that I remembered that previous conversation. Q: At what point during the trip to India did you receive the envelope of cash? A: We were given our envelopes less than 30 minutes before getting on the bus to the airport. Q: Were you told how much was in it? A: We were told that there was $4500 in it. Q: Who gave you the envelope of cash? A: Left blank intentionally due to investigation. Q: Where were you when you received the cash? A: I was standing in the lobby of the administration building with all the other students who were leaving for India. Q: Did they pass out the cash to a group or did they take you aside individually? A: They passed it out to us as a group. Q: Did anyone explain why they wanted you to take the cash? A: Yes, a day or two before we left we were told in a meeting that they needed us to take the cash because it could get harder to send money to India in the future and they wanted to send it in a variety of ways. They said that it was legal because cash did not have to be reported if it was under $5000. Q: Did they ask you or tell you to take the envelope? A: They didn’t order us to take them, but neither did they give us the option not to. They just assumed that we would take the envelope. Q: Who were you told to give it to? A: We were told to give it to our team leader in Kerala. Q: Whom did you give the envelope of cash to? A: I gave it to my team leader, who said that she would give it to the appropriate leaders in Kerala. Q: Where were you when you handed over the cash? A: I was at the main Kerala office. Q: How did the experience of carrying cash make you feel? A: It made me feel a little bit uncomfortable. At first I was only uncomfortable because I knew that I would have to tell my dad, and although I trusted the GFA leaders, I knew that he would be suspicious. I did tell him the day before I left and he was unhappy, but felt that it was too last-minute to do anything. When they gave me the envelope, I felt proud to be trusted with the money, but nervous that I would lose it. I was most uncomfortable, though, when we went through the India customs. I had been prompted to act as if I were not travelling with the group, but the officer asked me whether I were travelling alone. (When our team leader instructed us to act as if we were travelling separately, she did not mention the cash; she said that the officials could assume our group to be on a missionary trip, which would have been illegal, because we only had tourist visas. We were only on an India tour, but she was afraid that the officials would be suspicious.) So I gave a half-truth and the official did let me through, but I was afraid that I would either have to lie or that they would detain me. I thought that carrying the cash was legal, but I knew that, if they discovered the cash, the situation would become more complicated. Q: What did your fellow students say about carrying the cash? A: They mainly expressed concern that they might lose the money. It was not until after we got back from India that anyone questioned the actual practice of carrying it. Q: Overall, how was your time in India? A: It was beautiful and marking. I was able to see many different aspects of the ministry and talk with the native missionaries and seminary students. I was overwhelmed by the joy that I experienced as well as grieved by the country’s poverty. I remember it as a time of bonding with my group and discernment for my own vocation, and I came away with a love for India and a passion for service and outreach. Q: Would you recommend School of Discipleship to other young people? A: No, I wouldn’t. For me, the School of Discipleship was a rich time of spiritual growth, and it helped me grow in my personal relationship with the Lord as well as in many other areas of my life. I also developed deep friendships and was encouraged by the tight-knit community and the loving staff and students who poured into my life. But I had to leave before graduation because I learned that the leaders weren’t acting in full integrity with the ministry’s finances. So I wouldn’t encourage other young people to spend a year fundraising for GFA, because I am not confident that it is using the funds faithfully. Also, many staff and students have left, and the ministry is reeling under so much loss that, although maybe in the future I will be able recommend the School of Discipleship whole-heartedly, right now I don’t think that GFA is a positive environment for young people. 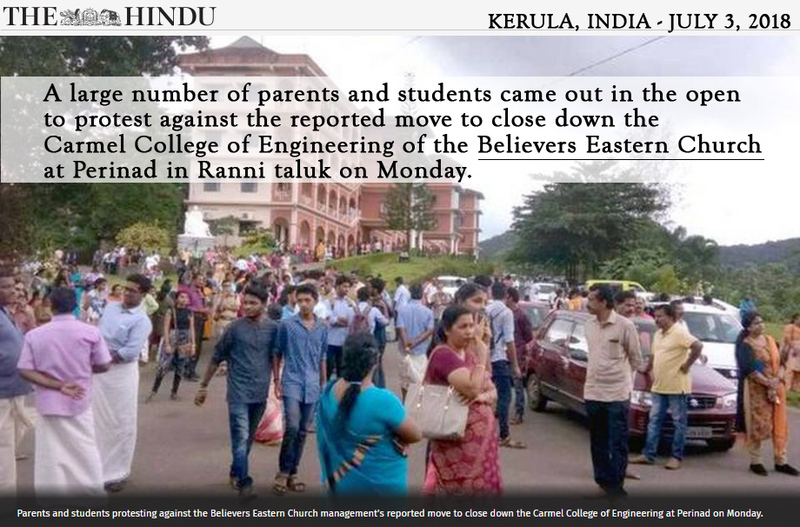 Read about the former School of Discipleship student who was taken off the campus by her dad, out of concern for her well being and spiritual safety. Read about the spiritual mistreatment of Emily, a School of Discipleship student at Gospel for Asia from 2010/2011. 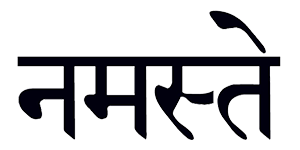 Read how a young, former Gospel for Asia staff member by the name of Hope was spiritually mistreated by KP Yohannan in India. For those who might be interested in hearing the nature of the vow these men have taken to Metropolitan, here is the transcript and audio of GFA’s current Canadian office leader’s ordination, who was a staff person in the U.S., now GFA Canada director. This will give you a sense at how significant the vow is. These men promise to submit to Metropolitan’s authority in all matters. In this case, the Canadian office leader is not a pastor on the field but the director of GFA Canada, this ceremony took place in Dallas, TX. 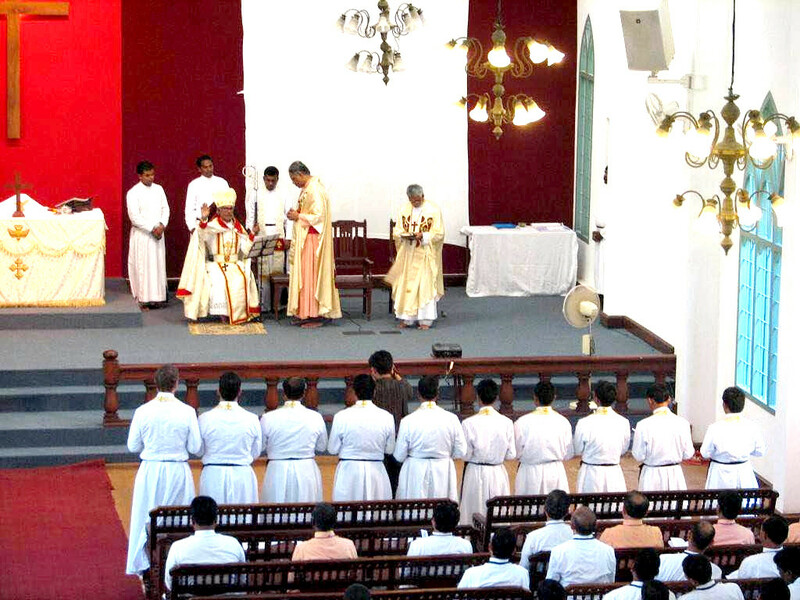 This is a Believers Church ordination ceremony January 2013, Seminary in South India. His Eminence the Most Reverend Dr. KP Yohannan, Metropolitan Bishop Believers Church is seated. photo courtesy of personal photo collection of M.L. KP’s official title in Believers Church is Dr. KP Yohannan, Metropolitan Bishop, and the title “His Eminence the Most Reverend” is placed under his pictures in India.